This looks an easy game to forecast. Real Madrid are one of the giants of world football, who recently qualified for the Champions League semi-finals for the eighth year in a row. Athletic Bilbao are marooned in mid-table and only made the last sixteen in the Europa League. There’s also the small matter of them losing on their last 13 visits to the Bernabeu in all competitions. This has to be a guaranteed home win, right? It most likely will be, but strange things can happen towards the end of seasons when league fixtures take on less meaning. Real Madrid have no chance of winning the title but have almost secured Champions League football for next season, so they will largely focus on their forthcoming tie with Bayern Munich, another game that will be subject to plenty of action at top football betting sites. Another issue with football betting fans assuming this will be a routine home win is that underlying statistics imply Bilbao have been performing better than their results may suggest, and particularly away from home. Los Leones have a very modest away league record in 2017/18, with only four wins and 19 goals scored from 16 matches on the road. Yet they’ve had the chances to do far better. Bilbao have amassed the third highest expected goal tally in La Liga away matches this season. Their problem has been converting their chances. José Ángel Ziganda’s team have scored 19 but their chances have been worth 23.9 in theory, and as they’ve drawn four away games and lost three by one goal, taking advantage of missed opportunities might’ve made a real difference to their points total. Real Madrid have the best home attack in the division though, which will surely determine the result. A bet on Zinedine Zidane’s side to win, which is priced at 20/83 with Redbet, has to be the way to go. In terms of how many goals to expect, it’s not the most straightforward of decisions. Real Madrid have featured in the most La Liga matches with over 2.5 goals in 2017/18, but Bilbao have been in the joint-fewest. However, while meetings of these sides at the San Mamés Stadium have occasionally been low scoring in recent years, in Madrid there are always plenty of goals. It has already been noted Real have won the last 13 meetings on home turf, and every one of those games has seen at least three goals. 888Sport has odds of 10/29 that there are over 2.5 goals, and the form guide suggests this is a certainty. The teams are more closely matched when it comes to records for games where both find the net. Since the start of last season, Madrid have played 47 league matches where both teams scored, which is the highest total in the Spanish top flight. Athletic Bilbao have seen this occur 37 times in the same period, and while their record at home is wretched, they have at least netted a consolation goal in 10 of their 13 defeats. Throw in their potent if slightly misfiring attack, and BetBright’s odds of 4/6 for both teams to score look appealing. The same firm offers 13/10 that Real Madrid win without keeping a clean sheet, which also looks a decent option. 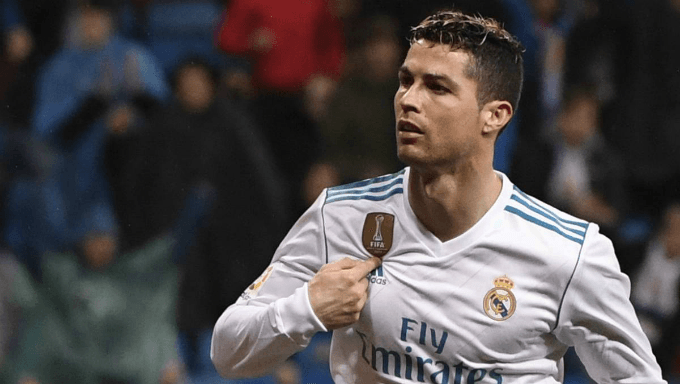 It’s no surprise to see Cristiano Ronaldo lead the scorer betting, as he has 23 league goals this season already, with 17 of them coming at the Bernabeu. Perhaps surprisingly only five of them have been opening goals; that’s still the most by any player on either side but eight players in La Liga have netted more. The Portuguese legend also has an excellent record against Bilbao, scoring 16 goals and assisting a further seven in just 17 matches against them. He’s only scored more against six other teams, and only assisted more against four. Ronaldo was rested for Sunday’s trip to Malaga, but will surely return here. You can get odds of 1.20 with Bet-at-Home that he scores, or 2.50 for a brace and 7.00 for a hat trick. He has scored three goals against Bilbao at the Bernabeu twice before, so I wouldn’t rule that bet out. Bilbao’s Aritz Arduriz has an interesting record from a betting perspective. He has only scored eight league goals this season, but four of them have been openers, and five the last goal of the game. The veteran forward also netted eight goals in the Europa League, so is the visitors’ best hope of a goal. He scored against Real last season, and Bet-at-Home have odds of 3.25 that he repeats the trick. Whichever bets you go for, it looks safe to assume there will be plenty of goals here.